The Oscars will reportedly have no host this year after the fallout with comedian Kevin Hart who stepped down from the role over resurfaced homophobic tweets. For the first time in three decades, producers will select A-list celebrities to present and introduce segments instead of having one person host the entire night, sources tell Variety. With the 91st Academy Awards just six weeks away, producers are reportedly scrambling to coordinate the celebrity lineup for the February 24 show. The Academy of Motion Pictures Arts and Sciences currently has made no new offers for an alternative host after Hart confirmed that he would not be hosting despite a public push from Ellen DeGeneres to do so. The last time the Oscars went without a host was in 1989. Instead, Rob Lower performed what was labeled a 'disastrous' performance with Snow White during the 61st Academy Awards. Hart confirmed that he would not host the Oscars during an interview on Wednesday where he said he was 'over' discussing his homophobic tweet and had 'nothing to prove' to anyone. The comedian appeared on Good Morning America where he repeatedly said he would no longer 'give energy' to the controversy which led to him stepping down as the host of next the Academy Awards. He would not agree to do the Oscars again, he said, because there was now not enough time left for him to prepare. 'I am not hosting the Oscars this year... right now, from a time perspective, I don't have the time. 'You're talking about two weeks that I would have to prepare,' he said. 'I like to call myself a perfectionist. I would want to make sure the production is a great representation of me and my talent. 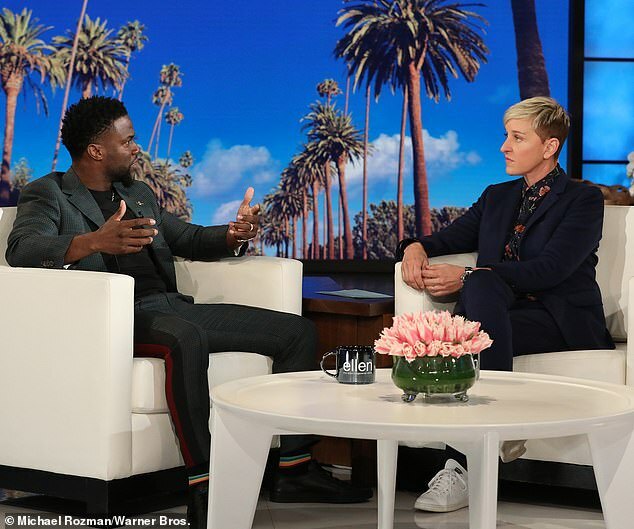 Hart had earlier appeared on Ellen DeGeneres show where both called for viewers to embrace growth and change. During their interview, Ellen revealed that she had even called the Academy to ask if Hart could still host the show and said she was told he could. Ellen, who has long been an icon in the LGBTQ community, was lampooned for throwing her support behind the comedian afterwards.